Water temp has risen slightly improving the catching. 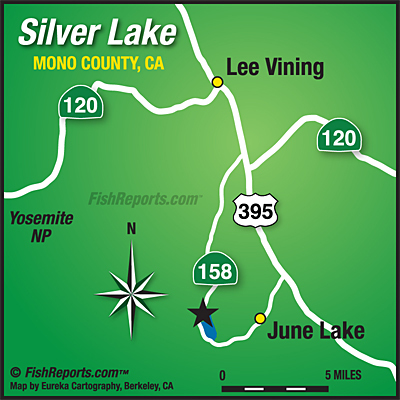 Lake level is still high reducing shore fishing to roadside near Resort and marina. There's a hatch appearing in mornings when winds are calm so this is a good time to be out in a tube or kayak tossing flies. Put in at the day use parking area near the south end of the lake. Tom at the dock suggests boaters hit the east side along the cabins to the island trolling red and gold Buoyants or brown trout Rapalas. 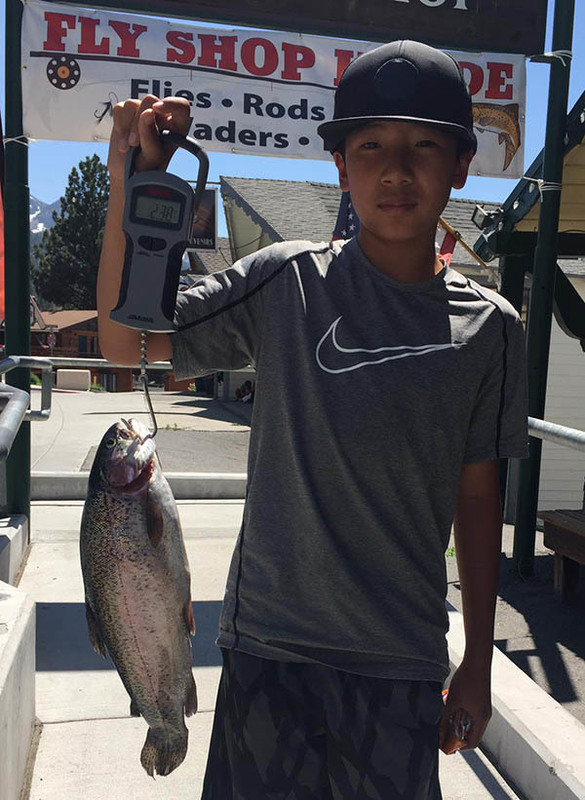 Some nice 4 to 5 pound Rainbows and Browns have found there way to a stringer in the same area hitting on night crawlers, white and pink mice tails, garlic power bait, and garlic pinched crawlers. The Resort put in Oregon 4 to 7 pounders this week with future drops in Aug, Sept, and Oct.